Kristin, born in New York State, has been with the office since 2007. She and her husband, Steve, moved to Delaware in 2005 with their children, Nick, Katelyn, Ellen, Ben, and Sam. Caring for patients, going the extra mile, and attention to detail are just a few things that make Kristin special. 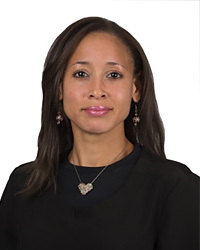 When not in the office, she enjoys her children’s activities, cooking, doing yard work, and supporting the NY Yankees and Buffalo Bills. Lately she is most proud of her two grandchildren, Audrey and Dean. 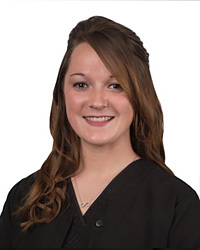 Holly, our full-time dental hygienist, joined our practice after graduating from Del Tech in 2008. 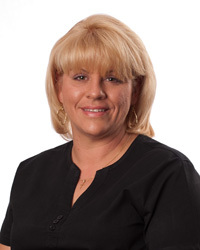 Her warm smile and genuine concern quickly put patients at ease as she helps patients achieve ideal oral health through gentle yet thorough cleanings. Holly loves developing personal relationships with her patients and knows that they leave her chair with improved overall health. Originally from Idaho, Holly’s family moved here when she was seven. Holly and her husband, Billy, have two terrific children, Cole and Bristol. Outside of the office, Holly enjoys home improvement projects, yard work, running 5k events, going on vacation, spending time with family and most recently, caring for their new Great Dane puppy, Piper. 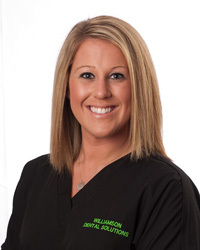 Brandie, originally from South Jersey is the newest member of the team and is dedicated to helping each patient feel like they are part of the Williamson Dental Solutions family. Her priority is to welcome the patients to the practice and help with insurance related questions or issues. Her favorite part of the job is the personalized interaction with each patient. Outside the office, Brandie enjoys spending time with her husband and two daughters, helping others, movies and the beach. Lesley was born and raised in Nashville, Tennessee before the military life at DAFB brought her to Delaware. She has been part of the Williamson Dental Solutions team since June of ’16 and graduated from dental assisting college in 2013. Lesley’s southern charm and good humor easily put patients at ease. Other interests include spending time with her family, reading, outdoor activities and spending time with her two dogs (Weimaraners).